Most Apple users like to backup their iOS device data like messages, notes, contacts, photos to iCloud. Sometimes, you may need to export Contacts in iCloud to CSV files for other usages. As we known, Apple provide the official method for you to export iCloud to vCard files. But what about CSV files? In this tutorial, we will show you how you can export Contacts to CSV files. 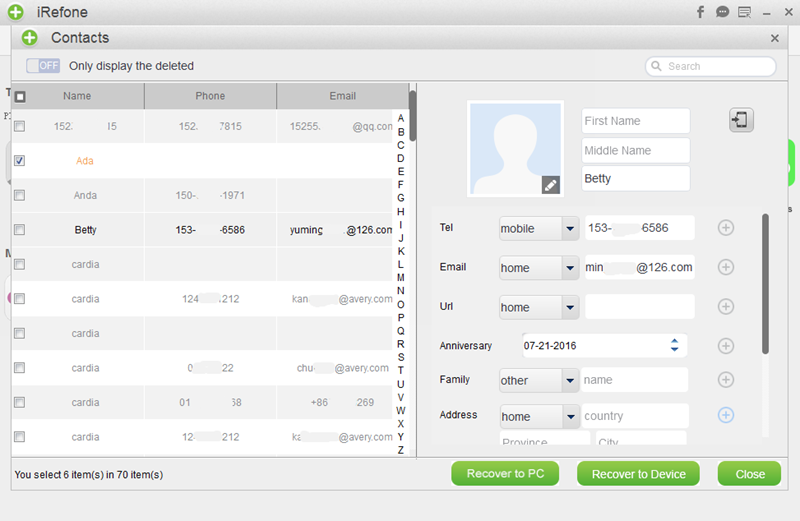 The most convenient way to export iCloud Contacts to CSV format is use the tool iRefone. 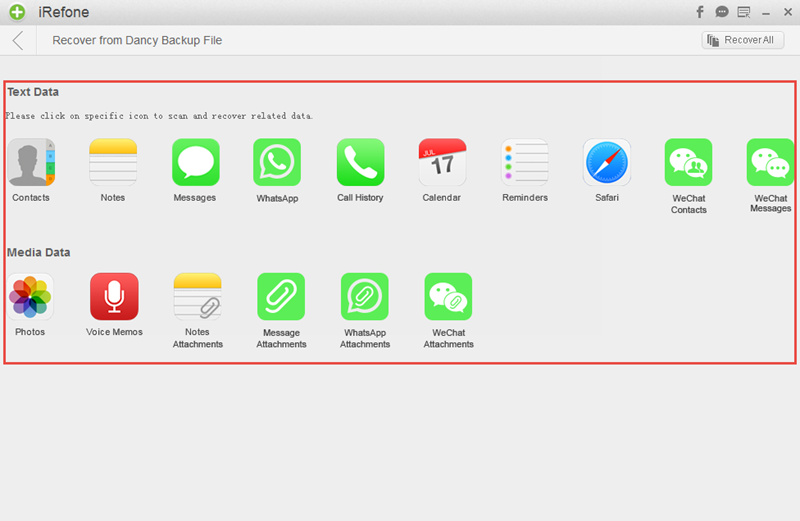 This software enables users to access data like messages, contacts, photos, notes and more in iTunes/iCloud backup. 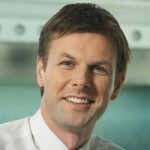 It allows to preview these data in the software interface as well as export them to computer. Besides, it supports to recover data from iOS device and iPhone backup. Below we will show you the details about how to export iCloud Contacts to CSV format. This software is fully compatible with Windows and Mac OS. Download the software and run it. 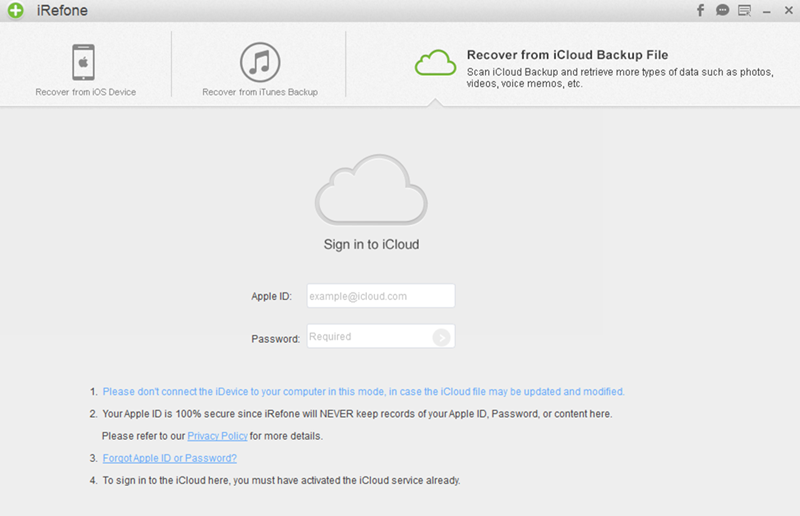 Click on the tab of “Recover from iCloud Backup Files”. Then enter the Apple ID and password to log in iCloud account. Once you log into the iCloud account, all of the backup in the iCloud account will be listed in the interface. Choose the backup you need to download from iCloud. When the downloading is finished, it will ask you choose the data you need to scan and previw. Just click on the icon of Contacts to analyzing the Contacts in iCloud. The final step is to preview Contacts in the software and choose these Contacts you need to export. Click on “Recover to PC” and these Contacts will be saved in the folder as CSV format file.